You can contribute to an amazing Public Art Project by creating short animated or abstract films and submitting them to be considered for the Video Village exhibition this spring. 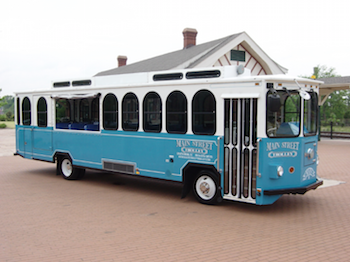 Video Village is one of nine temporary public art works in Seeing Spartanburg in a New Light project, a winner of the Bloomberg Philanthropies Public Art Challenge. 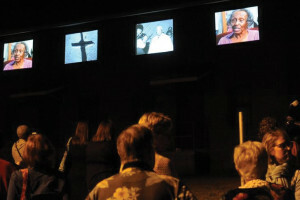 Video Village involves the projection of short films (no longer than 2-3 minutes in duration) onto the second story windows of the vacant Cammie Clagget housing units in the Highlands Neighborhood. This exhibition space has been visited by hundreds of people of all ages since the opening on October 4, 2016. Artist Erwin Redl’s intention for this location is to have 52 independent screens, each with their own projector, and partner with White Elephant Enterprises and the Spartanburg Art Museum to curate the content for the installation. Redl hopes to jump-start enthusiasm within the community for making videos of all kinds and sharing them in the public square. Submission Deadline: Friday, February 10, 2017.